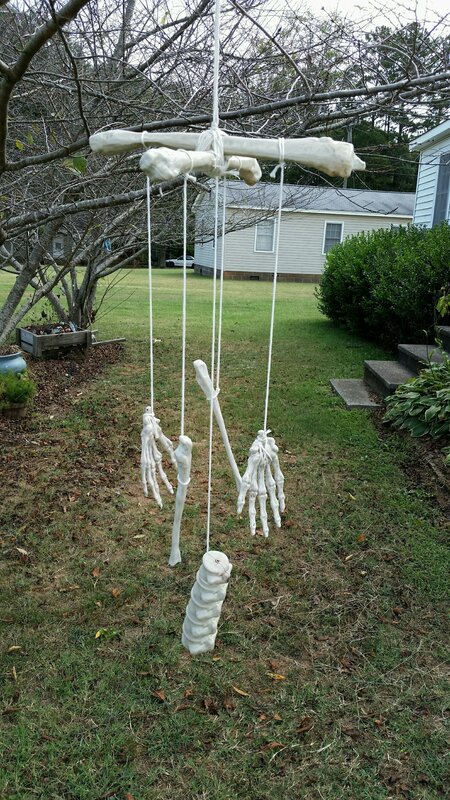 I made two sets of bone wind chimes for last year’s Halloween. I know I took pictures of the entire process but I can’t seem to find but the beginning photo and the last. UGH! I do have a short video of them blowing in the wind. yet. 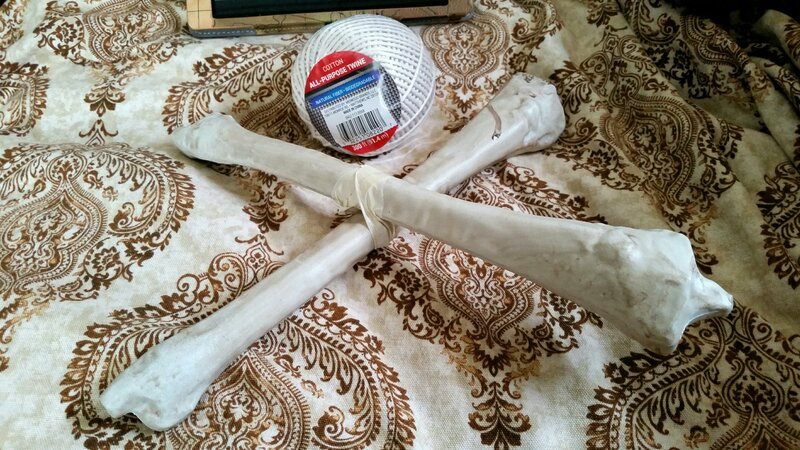 Take the twine and keep wrapping the bones until you have the femurs sturdy. Crisscross, over under, tie every which way. Now you can cut the twine from the roll. knot. It’s just the way I am. So, keep tying knots until you feel the pieces is sturdy. 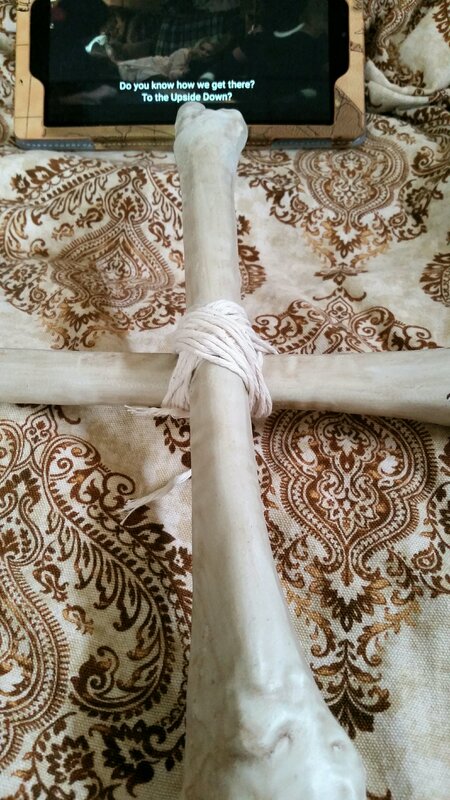 So know you have 4 pieces of long string to go outside and tie the chime from a tree limb. I really wish I could find the pictures of the whole process. Good luck. Leave questions in the comment section and I will try to reply quickly. ← Are You Looking at My Chest?